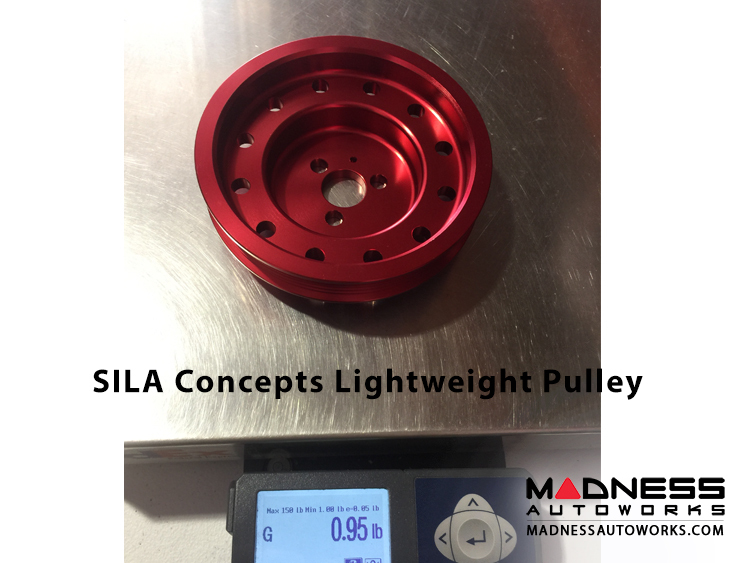 Achieve quicker revs on your 1.4L Turbocharged FIAT by switching from your heavy OEM pulley to this lightweight pulley from SILA Concepts. This pulley is designed to give your turbocharged FIAT a boost in performance by reducing rotating mass of the factory pulley. 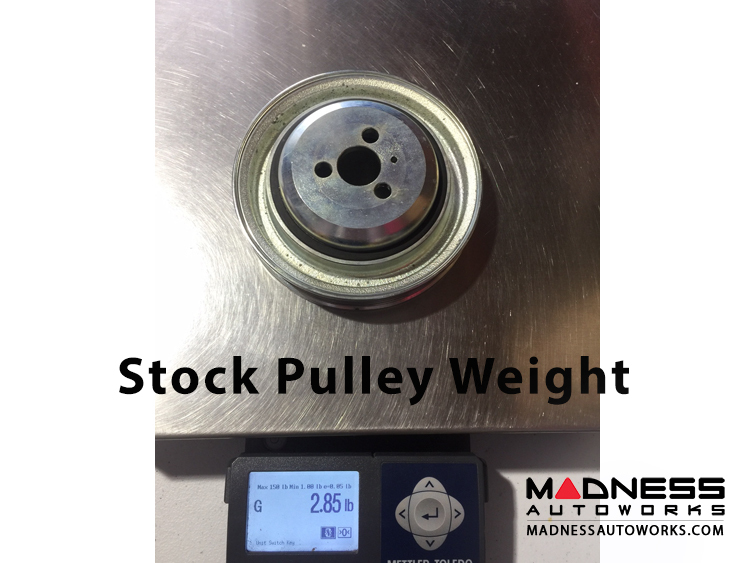 The stock factory pulley weighs 2.85lbs, the new replacement pulley weighs about a 1/3rd at only .95 lbs. This pulley is the same diameter as the stock (OEM) pulleys, utilizing the original belt layout. Since the crank pulley diameter is unchanged, they maintain alternator output at exactly stock output levels so you need not worry about flat batteries or weak charging capabilities. Extensive weight savings were afforded by using aircraft aluminum for construction. Power gains are available as a result of this upgrade, but can vary depending on how your FIAT is set up. We have been using these pulleys on our test vehicles for thousands of trouble free miles. We have also installed these pulleys on several track vehicles as part of our long term evaluations and they have performed without any issues.